This is the last old topo map that I'll post here for a long while ... a clipping to contrast with yesterday's relatively flat landscape. 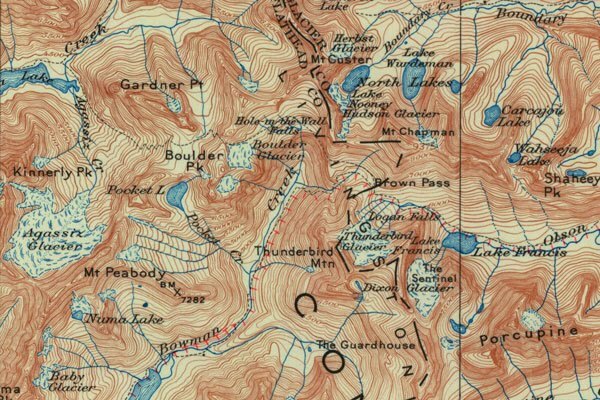 Based on late 1930s cartography, the the image below shows the Boulder Pass and Hole in the Wall areas, in the far north edge of Glacier National Park. It's one of the most spectacular spots in a spectacular state, and creates a map that fulfills most peoples' image of what a topo should look like.